While Lehman Brothers has been in the business of investment and banking for long, during the tenure of the recession a few years back they had filed for bankruptcy. While most of the people think it is the end of the road that is not the case with bankruptcy filing under chapter 11. It is very well possible for the company to regain its previous status. It is simply a way of ensuring that the credits are not incrementally growing through the cost of interest and rather can be compensated back through proper payback plans in installment. So Lehman Brothers Holdings could very well get to its previous status again. 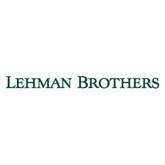 There are currently 0 consumer reviews about Lehman Brothers Holdings Inc available. Share your review. Please take a note that you are about to post a public review about Lehman Brothers Holdings Inc corporate office on CorporateOffice.com. This review will be public, so please do not post any of your personal information on this website. If you would like to contact the corporate offices of Lehman Brothers Holdings Inc, please use their contact information such as their phone number, website, and address listed above to contact them. However, sometimes staff from Lehman Brothers Holdings Inc headquarters do read the reviews on this website.